Kamdhenu Deck can be used as a composite floor system or as a permanent form work. The fast and simple installation of this high strength platform gives immediate access to a walking platform. It’s saves considerable construction time which in turn saves overall cost, provide safety and accessibility of the project. 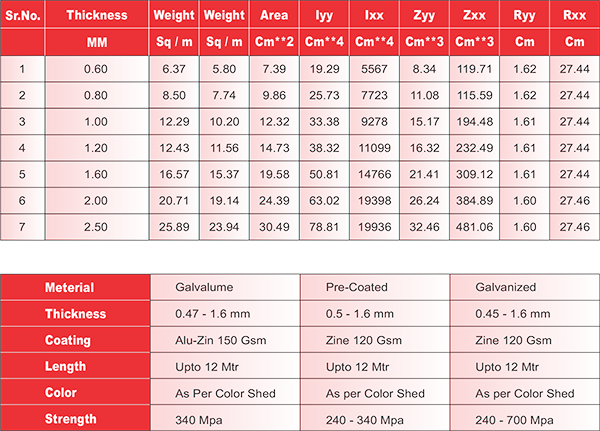 Kamdhenu Deck is cold formed in 44mm depth, 130mm pitch, cover width of 910mm and overall width of 960mm out of galvanized and HR Coils in the thickness of 0.80mm to 2.5mm. Used in composite design, Kamdhenu Decking System performs as a positive reinforcement and a permanent form support providing saving in concrete and reinforcement.